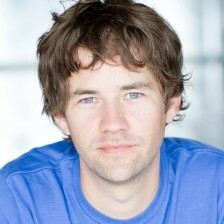 Kris Petersen – Startups. Life. Chicago. The last two businesses I’ve started have been online consumer-focused marketplaces. The first business, DealsGoRound, was a marketplace where consumers could resell their unused Groupon, Living Social, etc. deals to other people. It was essentially StubHub for daily deals. The second marketplace is Betterfly, a place where consumers can find online and local instructors/coaches for things like learning guitar, speaking Spanish or improving their cooking skills. In both cases, consumers came to the website and were presented with a list of items to purchase, either a deal voucher in the case of DGR or a package of hourly lessons in the case of Betterfly. As the person in charge of the product, it is my responsibility to monitor user behavior and make changes which increase the actions we want to see and reduce those that we don’t. “Actions” can mean all sorts of things from purchasing an item to sharing something on Facebook. For the sake of this post, I’ll focus on getting users to make a purchase. The summer of 2011 was one of the most surreal times of my life as an entrepreneur. My company, DealsGoRound, a secondary market for daily deals, was receiving routine press coverage in the tech and business journals and I was about to embark on my first fund raising trip to San Francisco. We already received $350K in seed funding from Lightbank, my former employer and Groupon’s initial investors, and they made sure my trip out west was flocked with meetings and calls with top-tier and boutique venture capitalists which they viewed as value-add to our business. For three days, I bounced around Sand Hill Road in Menlo Park and downtown San Francisco meeting with VCs, tech reporters and just about anyone who would listen. The conversations always seemed positive and I felt pretty damn good about where things were going. After returning home to Chicago, the initial investor conversations continued with follow-up calls, scheduling additional meetings in San Francisco and I continued to take inbound calls from new firms, as well. At any given time, I was juggling at least 15 of what I believed to be legitimate conversations regarding our next round of funding. In my mind we appeared to be in a great place. I clearly realized that DealsGoRound wasn’t going to be the next Twitter, but we were the first company to attack a niche market opportunity which one media outlet pegged as a potential billion dollar opportunity and we had already secured funding from one of the most influential players in the space. Hi! I’m Kris. And this is the first post on my personal blog. Since I’m sitting alone at the moment, I’ll just go ahead and interview myself to get this started. kp: Why did you decide to start this? KP: Hmmmm…. Great question. I don’t know. Perhaps it was my inner desire to share my life and learnings with the world. I’ve been very fortunate in life. I have an amazing wife who was my high school sweetheart, my daughter is ridiculously awesome and I literally love what I do for a job. Along the way, I’ve had some pretty sweet life experiences and learned a ton about Internet startups, hard work and having fun. kp: You say that your daughter is “ridiculously awesome.” Why is that? KP: Yeah. I was terrified that I’d break them. Can we move on?